Salma Elkadi Abugideiri is an American Muslim woman who wears a hijab and there are several things you should know about this fact: 1) She is not oppressed, and 2) Her husband does not make her wear a hijab. “My husband actually has nothing to do with me wearing the hijab. It’s how I practice my faith,” says Abugideiri, the founding board member of the Peaceful Families Project (PFP), a national nonprofit dedicated to preventing domestic violence among Muslim families. For almost the past two decades, Abugideiri and other members of the PFP have been trying to shine a light on the problem of domestic violence as it exists in the American Muslim community—and, at the same time, dispelling stereotypes that traditions like the hijab might be to blame. 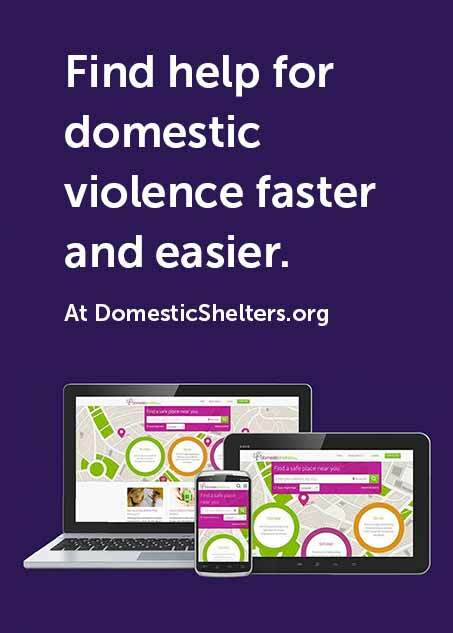 “In general, domestic violence is domestic violence. It affects Muslims in the same way it affects anyone,” says Abugideiri. But these days especially, she’s well aware there seems to be a particular focus on American Muslims in the media. “I think Americans’ perceptions [of Muslim woman] is very much colored by a lack of knowledge, the media portrayal of Muslims and this lack of distinction between culture and religion, and knowing that cultures are diverse. The PFP has been in existence since 2000, about as long as the Muslim community has been addressing the issue of domestic violence from within, according to Abugideiri. With the first U.S. domestic violence shelters opening in the early ‘70s, it begs the question of why Muslims seemingly ignored the issue for another 20 years. Abugideiri has several thoughts, and says they can apply to more religious groups than just Muslims. Statistics vary, but according to a 2011 PFP survey of 801 American Muslim women and men, 56 percent of the women who responded said that they had experienced some type of family or relationship violence in their lifetime, and 31 percent reported experiencing abuse within an intimate partner relationship. To draw a comparison to all populations overall, though not perfectly apples-to-apples, a 2010 study from the CDC showed 35 percent of all women in the U.S. have experienced some form of violence or stalking by an intimate partner in their lifetime. Moreover, the PFP survey questioned if family abuse was ever acceptable. Almost all, or 96 percent of those surveyed, said family abuse was never acceptable. Yet, when it was disclosed that someone in the American Muslim community was being abused, fewer than 20 percent of respondents said they sought advice from a domestic violence program. The majority, 43 percent, said they prayed for the victim. American Muslim women face barriers to reporting abuse that other cultures may not. For one, American Muslims are, by and large, immigrants—of the 3.3 million Muslims in the U.S., roughly 63 percent of them have immigrated. Muslims are also undoubtedly the most diverse faith group in the U.S., coming from more than 50 countries around the world. As such, Muslim women come to this country dealing with a myriad of factors, says Abugideiri. They could be fleeing war and are dealing with a sense of loss and grief. They may come with an education and understanding of the language, or they may not. They may or may not have job skills that can translate to employment within the U.S. They’re most definitely experiencing culture shock. “And, within that mix, there may be domestic violence,” says Abugideiri. Even if the barriers are overcome, some Muslim men may use the religious texts to justify their violence or control, a form of spiritual abuse. Just as Christians have been accused of “cherry picking” bible verses that fit a particular rhetoric they’d like to argue, so too do Muslims sometimes use the Qur’an and other texts to seemingly support abuse, something Abugideiri says is unequivocally against the Muslim faith. Even women do it, she says, using certain verses of the Qur’an to prove that, in some way, they deserve to be abused. That’s part of why Abugideiri and her group do what they do. “We want to educate both women and men to look at the scripture holistically and really interpret the verses in light of the whole paradigm.” They also work on training clergy, “because often, they’re the first responders,” says Abugideiri, but they lack the training to recognize domestic violence and often don’t have the counseling skills to help a survivor be safe. Looking for organizations that cater specifically to American Muslim survivors? Go to PFP’s directory of direct services here. You can also find a list of domestic violence programs that serve Muslims here, through the Asian Pacific Institute on Gender-Based Violence.